When a honest hardworking person finds himself in dire straits due to forces outside his control which result in loss of employment and financial support – having no money for food and facing starvation, he will inevitably resort to stealing food or money in order to feed themselves and their families. If you were to ask the everyday middle class worker on the street of what they thought of someone who stole food just so they could survive, invaribly many would still conform to society’s definition, and even if they empathize with that persons dilema, would still consider it a crime punishable under the law. In a purely biblical view, the real crime is that a person who has such need has no other recourse but to steal. Society has not provided for a dignified way for poor families to get some much needed help. Some of you likely will feel that that person can apply for government assistance and food stamps rather than steal. But this alternative is unenviable, undignified and is counter-productive to not only individual well being but to the society as a whole. The model employed in the Tanakh (Hebrew Bible) allows a family suffering financial hardship to provide for their families through the commandment of the peah. The Torah commands that when Israel harvests their crops, they must not cut or harvest the corners of their fields. This part of the harvest is for the benfit of the poor who must travel to the farmers field and pick the produce themselves. The Book of Ruth shows this compassionate commandment in action. This concept of expending labor for goods provides social well being; the poor can feed themselves and the landowner also recieves benefit – the corner of his fields are cleared. In the New Testament, the teaching of Jesus encourages us to first feed the less fortunate but then to show him how to feed himself, promoting self-reliance. This reveals the heartlessness of our current society. Even after viewing the situation above, many still have indicated that stealing is a crime and no matter the excuse, must be punished. This mindset is one which is reinforced by society itself, the result of a stratified dog eat dog world. If survival by theft for necessity is the best someone can do, would it not be safe to say that it is a massive failure of the system to provide for those who are in it? The fact is the poverty levels in the world at large are completely preventable. However, a powerful privileged class of powerful families are directly responsible for the deliberate creation of the current world model. This model serves their agenda well and keeps the majority so distracted from the real issues that we have no time to rise up and throw off their shackles. In reality our whole entire system is corrupt head to toe, with few if any redeeming qualities. Our political, financial, familial, health, scientific, educational and religious arena’s are largely inept and promote war, disease, poverty, inequality and slavery. The situation is worsening at an alarming rate and left unchecked will trigger at the minimum a slave world ruled by a criminal class of elites, or global annihilation. The universe is governed by laws and human beings and society are not exempt from these laws. As the universe has laws which govern its harmonious operation, humanity has inherent design parameters that can if allowed, would produce a unified, productive and healthy society. Imagine for a moment if the universe stopped operating as it was intended to function. It would not take long for the whole system to collapse, including the end of life on earth. Our drive for profit, commercialism, materialism and massive consumption is not part of the human equation as some would mislead you to believe. This unnatural drive for profit has generated countless wars and the human casualties are in the billions. This disfunctional state is an unnatural one for the human being. This type of social system goes against the design parameters we were created from. Evolutionary theory when closely examined, actually is complimentary to our current social system. Survival of the fittest is played out everyday in our stratified world. Those who guide their lives by compassion, charity, empathy and other noble virtues are trodden down by the social order of the day. Every social theory is cleverly crafted to support the power mad, corrupt system we have allowed to become our master. The stress of stratified society severely impacts human society. Our health is impacted, the poorer you are the less able you are to afford proper healthcare. The wealthier you are the better healthcare you can afford. Infant mortality is up, crime is skyrocketing and innovation suffers. Dr Robert Sapolsky, Professer of Neurological Sciences at Stanford University states that the human being is not simply a collection of pre-determined genes which are encoded with unchangeable software, but is a mixture of biology (DNA) and environmental stimuli. Dr Gabor Mate’ of the Portland Society states that most major illnesses and diseases (but not all) are NOT genetically determined. Conditions like heart disease, cancer, strokes, and other illnesses are not predetermined by our DNA. Genes can influence but do not determine outcomes. The good doctor tells us that the popular belief of “the flaw is in the wiring” – that we are hard-wired for certain behaviors is a cop-out and untenable. Social environment plays a key role in determining how a person develops. Brain development begins in the womb and continues far beyond birth. The human brain demands positive stimulus. Studies quoted by Dr Mate’ show that stresses on pregnant woman in our modern society negatively impact the development of their children. Stress upon pregnant woman has been shown to produce children who are more susceptible to addiction. Infants who are never touched will die because human beings need touch for human development. Our neurological functions are based on our personal relationships. Just by stroking an infants head has been shown to positively impact development of the human brain. Dr Mate’ also noted that the brain has two specific memories – explicit or recall memory and implicit or emotional memory. Though the human brain prior to 18 months is not sufficiently developed to remember explicit memories, the infant still has an emotional memory and are adversely affected by stress or trauma such as separation from their mothers, such as in a adoption. Scientists in Israel noted that the stresses placed on pregnant mothers just prior to the 1967 war produced children who were more susceptible to schizophrenia. Is Addiction and Violence in the Genes? The old adage that drugs and alcohol are addicting is nothing more that a popular wives tale that has no bearing on real evidence or scientific findings. The facts are that not every one who partakes of drugs or alcohol become addicted. Therefore, in and of themselves, drugs and alcohol are not addictive. What must be examined is why certain people are addicted and others not. The truth lies in environmental conditioning, not our DNA. Scientists have found that addiction attributed to some genetic cause is untenable. Again, contrary to certain ideologies, there is no specific gene for violence under normal circumstances. Dr James Gillian, the former Director for the Center for Violence at Harvard Medical School that’s that the exception is when a person was violently abused as a child. The implication is that certain environmental stimulus can re-program DNA. This finding was also found by a Russian team, in a unconnected study on DNA. One factor in the study of violence is that certain agrarian societies such as the Amish, Mennonite and other groups have almost no violence and murder is extremely rare. Dr Gillian noted that the Israeli justice system often sentences certain violent offenders to live in a Kibbutz to learn how to live a non-violent life. History has demonstrated that the more urban a culture is the more violent it becomes. The more agrarian it is, it is more altruistic and less violent. The Hebrew Bible has a dim view of city-life and the term “great city” is almost always painted in negative terms. Modern society is built upon a stratified hierarchical model. A stratified society is one in which competing groups have unequal access to power and/or resources, some groups being subordinate to others. The uppermost stratum is termed an elite. This is true whether we are speaking of capitalism or socialism, a monarchy or a dictatorship. Capitalism, the darling of the western world is a pyramid structure – as one prospers above and beyond his peers, he moves up the ladder, where more opportunity and more access to resources are available. Those at the top are not only the wealthiest but also the most powerful, controlling industries, cultures, countries, continents and even the world. This system is inherently unfair and promote inequality. This pyramid system is predicated on a non-biblical model of competition which in turn creates exploitation. Money is how we keep score. It’s all about acquisition. Today’s world changes at a whim, casting out the values, ethics and morals of the Old Order. And they do it all in the name of profit and free markets. Peter Joseph, creator of the Zeitgeist documentaries, states that the rules of the game are inherently invalid. Since most people in the world have absolutely no idea what money is or how it is created in the first place, it would not occur to them to think about why there is so much poverty and disparity. They recognize that there is poverty but they do not examine the cause of poverty. There is no excuse for poverty. The monetary system is a failure. Regardless of however one wishes to justify its necessity in our world or whether one realizes it or not, it’s been worn out. Time and time again, we see how the system fails us every time we hear about unemployment, disparity, poverty, death, crime, corruption both corporate and political, inflation, rising costs, etc. We are heading into a worldwide economic collapse which will certainly compound all of these problems. The first banks were probably the religious temples of the ancient world, and were probably established sometime during the 3rd millenium BCE, though objects called tokens made of clay have been recovered from within Near East excavations dated to a period beginning 8000 B.C.E. Banking predated the invention of money. Deposits initially consisted of grain and later other goods including cattle and eventually precious metals such as gold, in the form of easy-to-carry compressed plates. In Mesopotamia, during the middle of the 3rd millennium BCE, metallic currency (gold and silver), a new monetary instrument comes into existence. The first metallic monetary instruments were, even inside each civilization and each empire-city, very different in their shapes and of very variable metal qualities. For this reason, at every operation the metal used had to be weighed and tested. In the 2nd millenium BCE, during the reign of Hammurabi, the use of gold, silver or bronze ingots in Babylonia is already fully in use. But not only the Mesopotamian civilization carried out this decisive change. All the historical civilizations, sooner or later, reached the metallics monetary system. In the Indus valley they used oblong copper bars; among the Hittites, iron ingots; in Mycenae, bronze plates imitating animal skins, and in China also bronze plates in the shape of dresses. Pythius, who operated as a merchant banker throughout Asia Minor at the beginning of the 5th century BCE, is the first individual banker of whom we have records. Often bankers in Greek city-states were foreign residents. The fourth century BCE saw increased use of credit-based banking in the Mediterranean world. Usury has been condemned since biblical times. It was considered usury to make any charge for the use of money. Originally the word interest had the same essential meaning as usury. The bankers of course have redefined it’s meaning in order to employee it it legally in the exploitation of the people of earth. In modern times it has come to mean interest that exceeds the rate established by law. Biblical law, in all dealings among Israelites, forbids all increase of the debt by reason of lapse of time or forbearance, be the rate of interest high or low. The Hebrew word for usury is neshek, meaning literally a bite, from its painfulness to the debtor. In Leviticus 25:36-37 increase is the rendering of the Hebrew marbit which denotes the gain on the creditor’s side. Lending on usury or increase is classed as among the worst of sins. Before the Babylonian captivity, Ezekiel denounced the practice of usury as a great evil and mentioned the practice of oppressing strangers as part of the great wickedness. Interest repayments on loans, even to resident strangers was forbidden in the year of Jubilee (Leviticus 25:35-37) whereas in regular years it was permissible to charge interest to strangers (Deuteronomy 23:19-20). The usurer is placed in the same category with extortioners, Sabbath-breakers, those who vex the fatherless and widows, dishonor parents and accept bribes. Ezekiel 18 also classes the usurer with the shedder of blood, the defiler of his neighbor’s wife, the oppressor of the poor, the spoiler by violence, the violator of the pledge, the idolater, and pronounces death upon him. “But if a man is righteous and practices justice and righteousness, and does not eat at the mountain shrines or lift up his eyes to the idols of the house of Israel, or defile his neighbor’s wife or approach a woman during her menstrual period— if a man does not oppress anyone, but restores to the debtor his pledge, does not commit robbery, but gives his bread to the hungry and covers the naked with clothing, if he does not lend money on interest or take increase, if he keeps his hand from iniquity and executes true justice between man and man, if he walks in My statutes and My ordinances so as to deal faithfully—he is righteous and will surely live,” declares the Lord God. “Then he may have a violent son who sheds blood and who does any of these things to a brother (though he himself did not do any of these things), that is, he even eats at the mountain shrines, and defiles his neighbor’s wife, oppresses the poor and needy, commits robbery, does not restore a pledge, but lifts up his eyes to the idols and commits abomination, he lends money on interest and takes increase; will he live? He will not live! He has committed all these abominations, he will surely be put to death; his blood will be on his own head. Nehemiah, after the captivity, boldly denounced usury (Nehemiah 5:9-11), instituted a reform and had retribution made for all usurious holdings. Though the Bible establishes guidelines for the use of money, which is biblically defined as gold or silver, Hashem has not publicly endorsed any man made monetary system, contrary to certain claims. The bible supports free enterprise, but that cannot be construed to mean capitalism. The capitalism employed in the modern world is a travesty of justice and a system roundly denounced by scripture. Capitalism, amongst other monetary systems employ false weights and measures, a violation of true biblical law. The financial system we use today is based on fractional reserves. Fractional reserve banking originated in Babylon, a system diametrically opposed to the biblical system and roundly condemned by several ancient societies such as Vedic India. 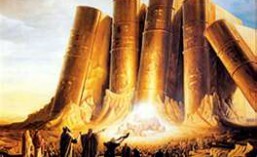 The first use of the fractional reserve system was in the Temple of Shamash under Hammurabi, the sixth king of Babylon. The Mesopotamian pagan temple priests were the first bankers. They evolved into the goldsmiths and then finally into today’s commercial bankers. There are two forms of fractional reserve banking that was was used. First is fractional reserve banking in the context of a gold standard. Second is fractional reserve banking in the context of a paper monetary system, which we call fiat money. Fiat money is currency that a government has declared to be legal tender, despite the fact that it has no intrinsic value and is not backed by reserves. Historically, most currencies were based on physical commodities such as gold or silver, but fiat money is based solely on faith in the government to pay. When we refer to fiat money, we are referring to money that exists because the government declares it into existence, not that it actually exists. It is not based on production or earnings, and not backed by any tangible commodity. It is solely based on trusting the government. The term fiat (Latin) roughly translates to “there shall be”. Fiat money is exchanged in the economy as long as there is faith in the government that issues it. We all have heard the well known phrase Full Faith And Credit of the United States Government. The premise is that the US. government will never default on its loan obligations. However, the credit rating of the US. Government was recently downgraded from triple-AAA by S&P. This means that the credit rating of the US. Government is deteriorating, and deteriorating quite rapidly, moving toward system collapse and default. Our founding fathers rejected the notion of a national central bank. They understood that governments, even the best of governments, cannot control spending. When government has the ability to create and spend all the money it wants, it’s priorities shift, and the concept of budgeting, as most Americans know it, loses all meaning. Every dollar created (out of thin air) and spent by government makes the dollars in your pocket worth less and less. Eventually any currency controlled by government will be debased to worthlessness, and will wipe out the savings of the citizens who put faith in that currency. The reason the masses ignore the inevitable failure of fiat money systems, is because just prior to their demise, they are preceded by a period of widespread prosperity. “The aim of these financiers is world control by the creation of inextinguishable debt.” – Henry Ford. A fractional reserve bank under a gold standard has, let’s say, 1000 ounces of gold on deposit. These are called demand deposits, which means the customer can withdraw them at any time. With a 10:1 reserve ratio, the bank makes term loans for 900 ounces of gold. The bank in reality has committed fraud. The bank has 1000 ounces of demand deposit obligations, but only 100 ounces of gold on hand in its vault. For the remaining 900 ounces, the bank must wait until the loans are repaid. Via fractional reserve banking, the banks create the illusion of more demand deposit gold than there actually is. In effect, the bank has counterfeited money. Fractional reserve banking is based on fraudulent demand deposits. And like all frauds, it is inherently unstable. This naturally leads to periodic runs on the banks when depositors loose faith in the banks. This is no economic law of nature but inherent proof that the fractional gold standard benefits only the international bankers. With gold as money, individuals have a way out of the fraudulent scheme. They can hold gold, refusing to participate in the fraud. In 1932-1933, the American people knew that a default was inevitable. They started holding gold instead of State paper. In 1933, President Roosevelt, a puppet of the international bankers, declared that gold ownership was illegal. He defaulted on the dollar, leading to the current system of unbacked paper money. In a paper monetary system, reserve requirements are irrelevant. Banks can always borrow from the central bank. Under a gold standard, real interest rates cannot fall below 0%. People would hold gold. In a paper monetary system, real interest rates can be negative. The inflation rate can be greater than the interest rate credited on deposits. Negative real interest rates are a huge wealth transfer to bankers and insiders. In a paper monetary system, the State guarantees all bank deposits. That comes at a cost, inflation. The number on your bank account is guaranteed, but the real purchasing power is stolen by inflation, a massive transferor of wealth, from Main Street to Wall Street. Inflation is theft. In a paper monetary system, you are always robbed by inflation. With gold as money, individuals can opt out of the banking system, by holding gold. With physical gold, you preserve your purchasing power. Under a gold standard, individuals can hold metal and preserve their purchasing power. With paper money, individuals are forced to invest. If you leave money in a savings account, you get robbed by inflation. To most people, “invest” means the stock market. In the stock market, insiders can easily fleece people. In a really free market, people would be free to use whatever they wanted as money. In practice, this would mean a return to sound money, gold/silver/copper. Only an idiot or a conspirator would prefer paper money to precious metals. With paper money, there always is a risk of theft by inflation. In a true free market, fractional reserve banking would not be a viable business. In a true free market, there is no limited liability incorporation. If a bank had a limited liability clause in its deposit contract, depositors should realize they are taking a risk. Without limited liability, owners and management will be personally responsible during the inevitable run. This central bank is called the Federal Reserve System which is privately owned by various banking families, notably the Rothchilds, Warburgs and J.P. Morgan. This central bank was finally established in 1913. The same banking interests also set-up the Income Tax scam and the so-called Internal Revenue Service is nothing more than a collection arm for the Federal Reserve which is owned by the Illuminati banking cartels. Fractional reserve banking is inherently fraudulent. It only can exist when supported by the State. Under a gold standard, fractional reserve banks counterfeit demand deposits. With paper money, the State guarantees all bank deposits, at the cost of higher inflation. With paper money, fractional reserve banks have nearly unlimited power to print money via loans, because they can always borrow from the central bank. With gold, you can hold physical and be safe from theft via inflation. With paper money, you are robbed via inflation no matter what you do. Addiction to oil has resulted in devastating social consequences. Look at the negative consequences on the environment. The pollution created by it’s discovery, production, distribution and use are far reaching. We can still remember the various oil accidents such as the Exxon Valdez and the recent British Petroleum catastrophes that destroyed huge sections of sealife and birds. We pollute the skies around the globe with its combustion by-products. We are destroying the very Earth that we inhabit for the sake of that addiction. Any the tragedy of it all is that contrary to popular belief, clean technology has been available to us for over 100 years but vile men such as JP Morgan suppressed that technology for the sake of his profit margin. This addiction is far more devastating in the social consequences than the cocaine or heroin or even tobacco. Yet it is rewarded and considered to be respectable, when it is clear to any knowledgeable and sane person that our addiction to oil is destructive to the human well being. Oil is now a national security issue in every country and we wage continual wars over control of this valuable resource. John McMurtry, Professor Emeritus of Philosophy at the University of Guelph, Canada considers the global free market “inefficient and life-destructive” and in his book, Unequal Freedoms: The Global Market As An Ethical System, he examines the underlying value system of the global market and claims that it constructs the opposite of the “free and democratic society” it claims to bring about. In The Cancer Stage of Capitalism, 1999, he claims a propensity of human societies to assume the social order in which they live as good however life-destructive they may be, focusing on financial capitalism as displaying the hallmark characteristics of a cancer invasion at the social level of life organization. He conceives “the civil commons” as a social immune system. The influence of masonic writers, such as John Locke, who promoted a “Natural Law” in contradistinction to Biblical law, the economy became increasingly regarded as a self-governing phenomenon. Therefore, Masonic and Illuminati propagandists increasingly argued that religious morality was not needed to govern economic practices, which in themselves were virtuous. This of course is untrue and in opposition to the economic principles of the bible. Adam Smith, a Scottish moral philosopher and a key figure of the Scottish Enlightenment, was friends with two key figures of important revolutions. Benjamin Franklin of the American Revolution who he first met in Scotland in 1759 and Voltaire of the French Revolution who he met in Geneva in 1765. Both revolutions were masonic directed. It is well established that Franklin was a dyed-in-the-wool freemason. It is believed that Franklin travelled to Scotland with the intention of persuading Adam Smith to write a treaty on colonial policy; or at least that during that meeting, Franklin urged this task upon him. The result was “The Wealth of Nations” published in 1776; a book that would change the world. The Wealth of Nations, considered his magnum opus and the first modern work of economics. Adam Smith (himself a suspected freemason), proposed in The Wealth of Nations the notion that unrestrained self interest was actually positive, by producing sufficient wealth to be distributed to other parts of society by an “invisible hand”. This invisible hand as it has turned out is none other than the Illuminati Network aka the Babylonian Brotherhood – the pagan banker-kings. Adam Smith wrote Wealth of Nations at the dawn of the Industrial Revolution, during the Age of Enlightenment, and amidst a massive societal change and revolutions. It’s earned him the title of “father of economics” and has greatly influenced the founders of America with its argument that free market capitalism was the best economic system available for a society prone to selfishness. Adam Smith’s invisible hand doesn’t work, that the pursuit of self-interest is not guided by an invisible hand to the best societal outcome. Adam Smith’s examples come from an imaginary world of Moral Philosophy which he taught at Glasglow University, and are not the realities of the world. The rigged system which he encouraged exploits the average worker or business owner. Adam Smith was wrong. Free market capitalism doesn’t produce the rosy results that Smith argued it would either. A society full of Smith’s imaginary butchers will not benefit the whole of society because the butcher is not inherently good and self-regulating. He does not naturally pay a living wage to his workers. He does not naturally keep his promises. He does not naturally tell the truth at all times. He’s just like me. And just like you. If we serve ourselves with no outside restraints placed upon us, we’ll cheat to get more and horde what what we get while the distance between us and the have nots widens. Our current and wrong headed system equates acquisition of wealth with social health and economic considerations are paramount, over and above the human physical condition.The standard of living is not measured in human health and well being but in financial gain, how much money one makes. The Health Care System is measured in terms of sick and dying people not social health and human well being. Not the peace and well being which would actually result from a properly established biblically based economy and society. Our current system exemplifies social degradation and perpetuates poverty, war and disease, conditions which we abhor but are the life blood of the power elite who control and cater to it. In our current System there is no profit in saving lives. Crime, war, terrorism and sickness creates business and big profits for our slave-masters. One half of the world’s population lives on $2 a day, a veritable slave wage and a huge travesty and shame upon the shoulders of the Human Race. John Perkins, former economic hitman for major corporations in the 60’s and 70’s admits openly that the wealthy benefit from poverty, cheap labor, slavery, and exploitation and theft of Third World countries resources. Our current economy promotes consumption, pollution, waste, disease, defect, war and is actually a anti-economic system. Best market goods at the lowest possible prices. Intrinsic obsolescence of products which do not outlast the planned cyclical consumption. Efficiency, sustainibility, and preservation are the enemies of our current economic system. As most of the thinking and spiritually inclined population have realized, materialism does not equal happiness. The excitement of owning the lastest fad or technology ultimately wears thin and we must look to something new to replace it with. In our society we have been mentally conditioning toward commercialism. We have Black friday, Christmas, Walmart to feed our desires for more and more things. The Monetary Market System is the greatest generator of war and inequality ever devised. Our society at all levels is unsustainable: economic, political, financial, spiritual and emotional. We reward those who produce high profit margins with ungodly sums of money in the name of our society’s god, Avarice. Addiction to profit (the love of money) has been made respectable by our culture. The Money Power through its many and various corporations that further it’s agendas, has put in place a demonic system of schemes and legalized criminal enterprises to monopolize the earths resources for their own benefit and promotes policies and legislation that creates more and more poverty as social progress. Corporations are in reality Empire Building, theirs not ours. They control the principle players and governments. The people at the top of these corporations and the people at the top of governments are one in the same. They move with ease between the two because in today’s world there is little difference between them. The concept of Empire is the spreading of civilization in the name of culture, religion or progress. It was once a romanticized idea, but today colonialism is frowned upon, as it should be. The most ingenious and devious innovation in modern society was the establishment of the World Bank and International Monetary Fund. These financial institutions have the appearance of altruism but are merely vehicles of the Illuminati Bankers who fund and control them. They are responsible for enormous transfers of wealth to the international bankers. The creation of the World Bank was to provide a means to channel funds to reconstruct devastated Europe. During the ensuing Cold War it spend time lobbying third world nations to embrace capitalism as the best system for developing countries to embrace. They promised miracles but delivered only despair. Identify countries who have resources that we covet – gold, diamonds, oil…. The country goes into deep debt to accomplish this development. Only a few of the country’s elite get rich, and the poor suffer. The country finds itself unable to pay the debt. We ask for favors in order to renegotiate the loan – a critical UN vote, support for war, and the selling of their resources at a very low price. This effectively enslaves the country. Stubborn leaders who wont’ go along are offered two things: a bribe in which if they cooperate, they get rich and, a threat of overthrow or even assassination. If the leader is stubborn, the corporations send in the Jackals- CIA subversives and assassination squads. Much of the current turmoil in the Middle East are the repercussions of American foreign policy. In Iran we overthrew the Mossedeq government in 1953, because he had the gaul to act in the best interest of his government. In the 60’s we also overthrew the Iraqi government and put Saddam Hussein in power. Once a country goes into default for their loans, they are then approached with the proposition of Debt forgiveness. Conditions are set including restrictions on import and exports, and the public utilities are required to be privatized. A country may want a loan to develop a infrastructure of a natural resource, gas or water systems for sewage treatment, and drinking water. The IMF steps in and says that they have too much debt from past loans. The IMF then requires privatization of these resources which of course are run by the corporations which further exploit their resources. Continual perpetuation of the system of debt enslavement. Contrary to the popular belief that illegal immigrants are in America because they desire our way of life and want to live and work in America. The reality is that many of the illegal immigrants are here because of the exploitation of their country’s resources. They would prefer to live and work in their own beautiful countries, but the wealth of their nations is being drained by the Money Power. The solution to illegal immigration is to create a situation in their own countries that allow for proper growth and sovereign control of their natural resources. One percent of the worlds population controls 40% of it’s wealth, a massive imbalance. Our modern age has experienced unprecedented levels of wealth, unprecedented levels of violence and unprecedented levels of social corrosion. Greed and materialism have corrupted our society to such a high level that we hold no hope for the future. Our modern banking system is a failed system and contrary to Adam Smith’s bogus theory, does nothing to promote the well being of humanity. Without real labor, money has no benefit to society. For example, if a rich man puts $1,000,000 in a CD yielding 4%, that pays the rich man $40,000 per year with no labor expended, therefore theres no social benefit. But the poor or middle class worker who has to take out a bank loan with usury, creates more debt and becomes enslaved to the Money-Changers. This results in social stratification, inequality and desperation. In God’s economy, money is a medium of exchange, be it gold, silver, cattle, grain or precious gems. However biblically speaking money is not intangible or non-physical. Therefore modern innovations such as derivatives or any non physical financial instrument are considered as money. Money itself was never intended to be a commodity to be bought and sold. It was intended as the medium of exchange in which commodities were bought and sold. Stock market buys and sells money, and trades debt for property at the detriment of society. Max Kaiser, a real world economist, openly states that Wall Street operates through bribery and trading on fraudulent claims. There are $700 trillion in outstanding fraudulent claims called Derivatives. Our society is in very serious trouble. We do not trust our leaders to make intelligent decisions, because they are controlled by malevolent forces which control the earth. Our political system breeds corruption and corrupts those send to represent the concerns of it’s citizens. There is little difference between conservatives and liberals; they answer to the same masters and their policies yield very similar results. In our political culture the seriousness of a political candidate is unfortunately not measured by his or her ideas but is determined by how much money he can raise for his campaign and party. This is Election by Auction. Obama’s run for President of the United States, raised over 500 million for his campaign. That’s one-half a billion dollars to secure the office of President. In our present culture, our governments are for sale, and they don’t care who knows it anymore. Our civilization is beyond repair, past the time when any reforms could change the forecast. Politicians will never reform any system that puts them into power. This true for the American system. Neither party wants any real change. Any real reformers are maligned, demonized, blackmailed or killed. People who actually believe that real change can be effected in our current system are deluding themselves. The current system is under the control of malignant forces who do not share power. They are responsible for the billions of deaths which resulted in countless wars, coups and military actions. They are the real masters of the earth regardless of which president, prime minister or king sits in power and often those very leaders are puppets to these nameless and soulless creatures. They are masters of the Problem Reaction Solution scheme which gains them more and more power. They are responsible for the Great Depression. From 1921-1929, the bankers made huge, massive loans. In 1929 the international bankers, in tandem, exited the markets and called in all the loans. This conspiracy brought about the 1929 Stock Market crash, intentionally. This created tremendous suffering on a global scale. The biblical prophesies regarding the End of Days center on the collapse of this abominable system. We cannot simply remove parts of the system which do not work – it all does not work. The only way for us to be victorious over the Illuminati is to destroy that which the system hold’s most dear. That which the system holds most dear is it’s greatest weakness. Collapsing the current monetary-market system, while painful, will eventually result in a more harmonious world, where equity and equality are truly available. We will have to endure much pain and suffering before the millennial kingdom HaShem promised us comes to fruition. But it will come and those who oppressed us and murdered our children will not be part of it. And their names will be removed from the Book of Life.